Rasgulla is a cheese based dessert. It has been created in Odisha but gained popularity in Bengal. Once we master making Rasgulla's its easy to make other cheese based desserts like Rasmalai, Custard Rasgulla etc. So lets learn how to make Rasgulla. 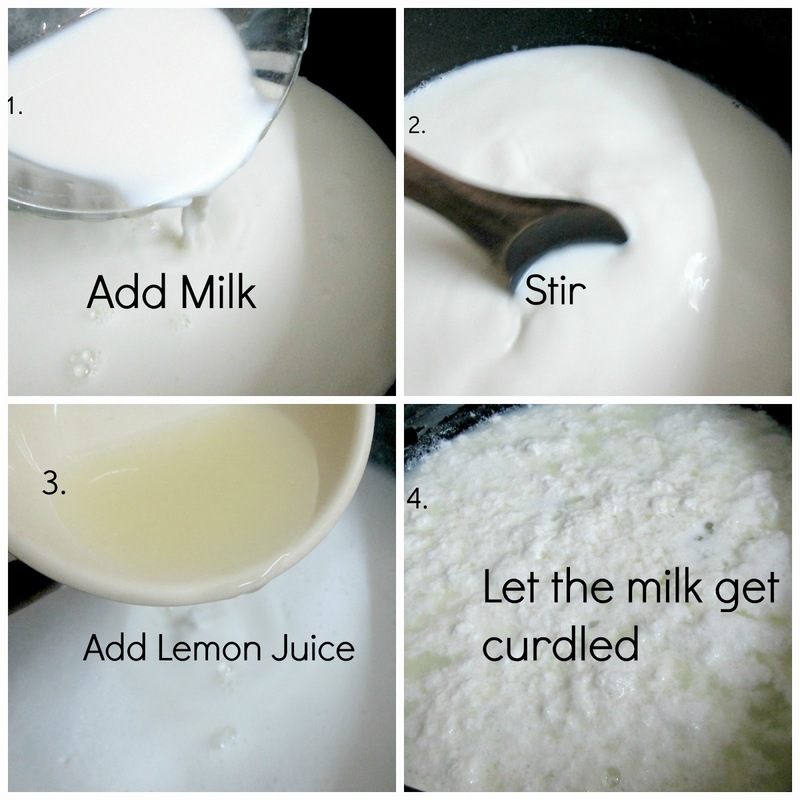 Begin by bringing the milk to a boil and curdle it with lemon juice(diluted with 2 tablespoons of water). After the whey is separated from the cheese remove from heat and drain the whole mixture of whey and cheese using a colander lined with cheese cloth. 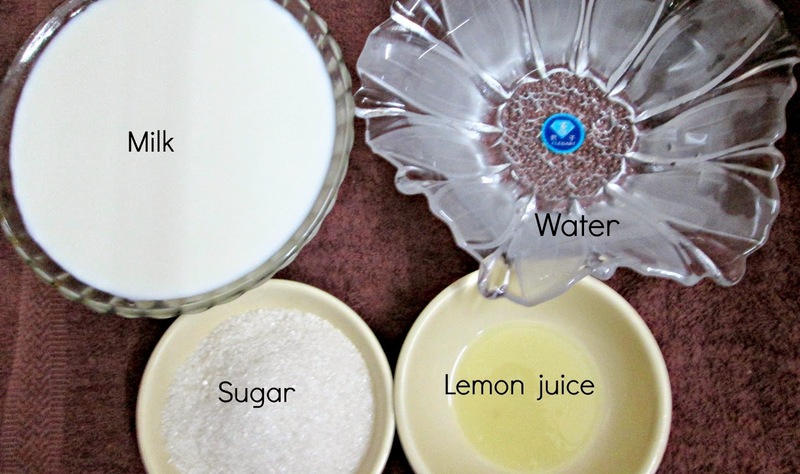 Rinse the cheese cloth pouch with water to get rid of sourness of the lemon juice. Drain the excess water from the cheese by hanging the cheese pouch for 30 minutes, placing heavy water pot on the pouch or by just applying the pressure by your own.. 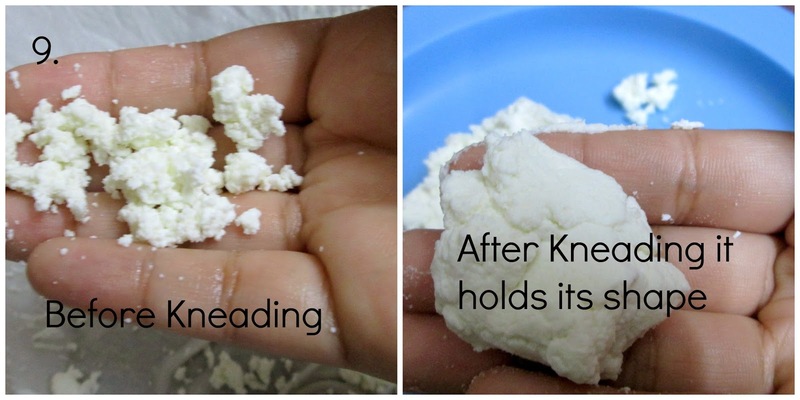 When the water is drained out the left over product i.e cottage cheese is known as chenna. Knead the chenna until it holds its shape when you make it into a ball. After Kneading the chenna make small balls out of it. Note : Draining out the right amount of water from the chenna is important. 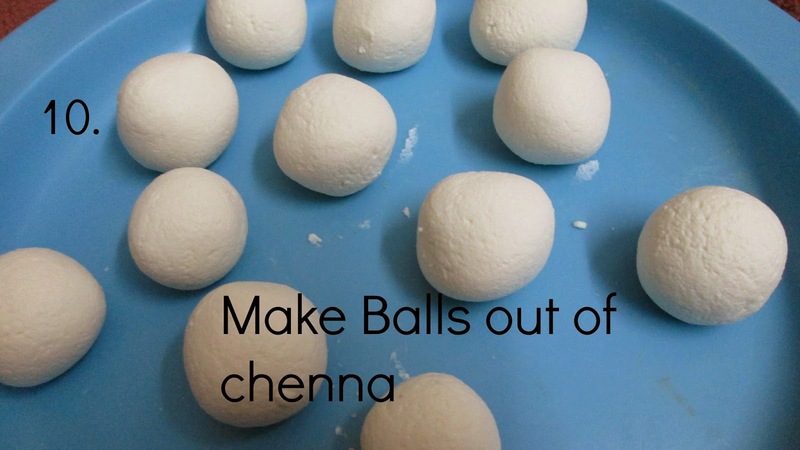 To make sure whether the chenna is in correct consistency or not, simply try to make small balls. 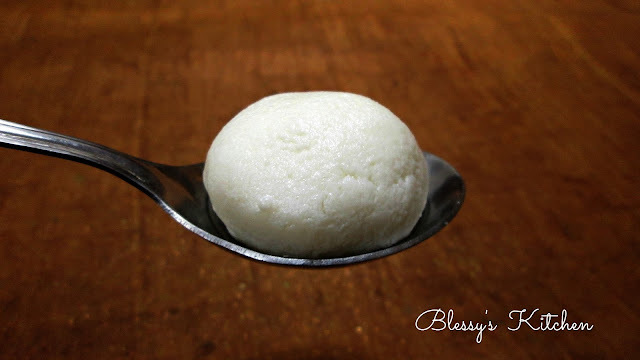 If you'r able to make balls/ hold its shape then it indicates that the chenna contains enough moisture to continue making them into Rasgulla's. If you'r unable make balls, simply add few drops of water and start kneading until you get the right consistency. Bring water to a boil and add sugar to the boiling water. After the sugar melts add the chenna balls to the sugar syrup, cover the lid and cook it on high flame for 3- 4 minutes. After cooking for 4 minutes on high flame cook it for further 5 to 6 minutes on medium flame. 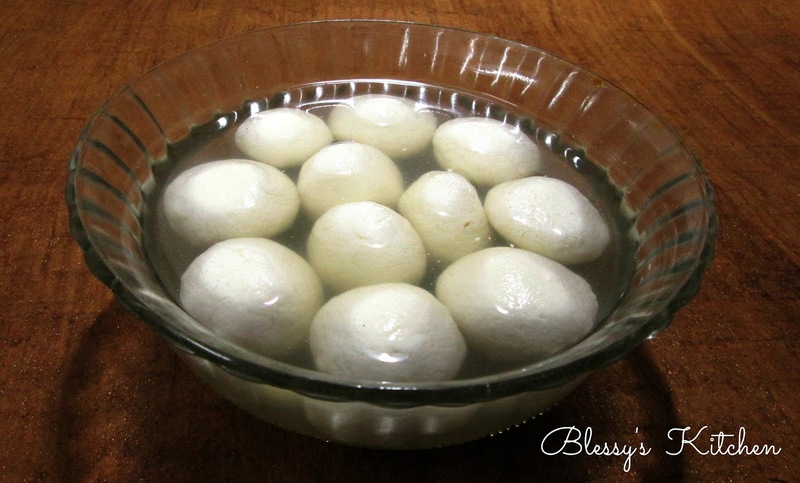 Rest the Rasgulla's for 4 to 5 hours and serve regular or chilled. Next, cook on the medium flame for 6 minutes (or) until the balls are doubled in its size. 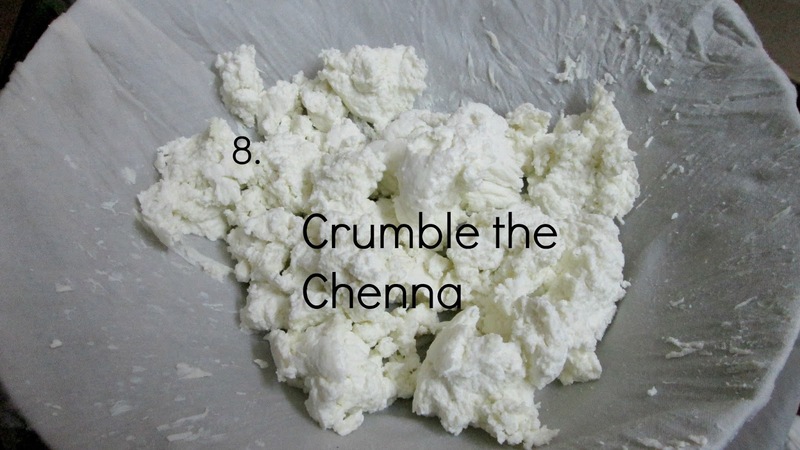 Tip : If you don't want to knead the chenna, then simply blend it in the mixer just for 1 to 2 seconds. If you like the recipe of Rasgulla, then do let me know in your comments below.